It’s winter in the woods. Come follow the snow-covered trail with William and Cammy. Clue after clue tells them what animal has been there and left its trace behind. 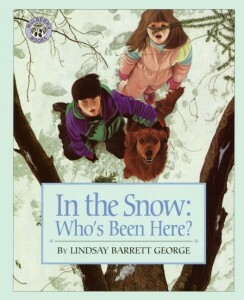 Join them for another journey of discovery in this companion book to In the Woods: Who’s Been Here?